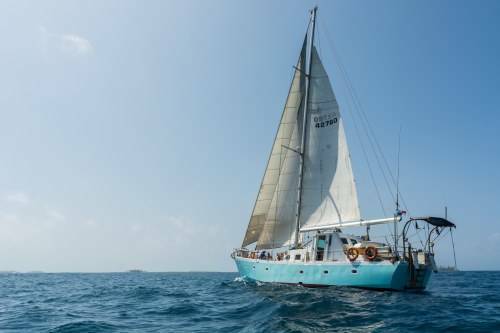 20 Passenger berths: Five double beds (2 in private cabins, one with curtain screen and two open in the saloon), 10 single berths. Three toilets with electric flush toilets. Large foredeck with bean bags and sun cover. Below deck dry stowage for all baggage. 8 person dinghy for transportation to shore. 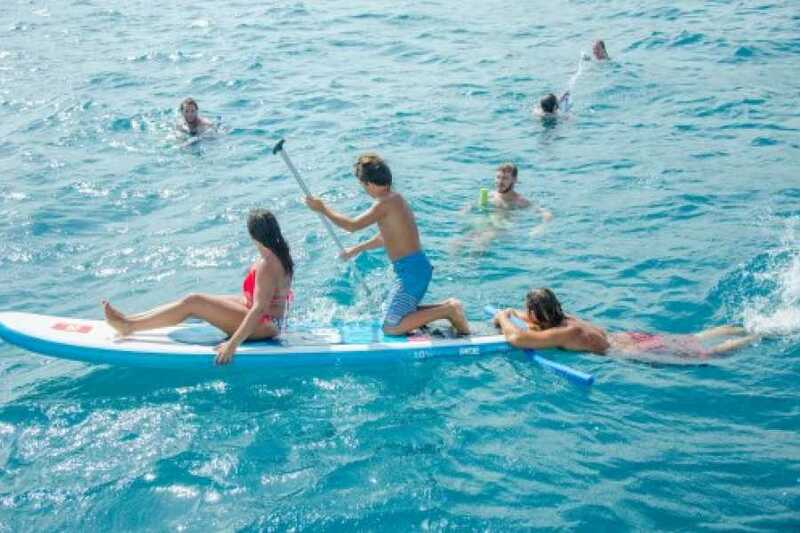 Shore activities include bbq , volleyball and snorkeling. Pirate costumes available. Captain: Charlie. South African, 50,000 sea miles, speaks English and Spanish. First mate: Ori. Seven yrs working this route. Pre Departure Meeting - This will take place at Hostel Mamallena (Media Luna, Getsemani) at 7pm the night before departure. Please make sure you attend this meeting as final details regarding the departure time and meeting place will be given as well as full details regarding current immigration procedure. After a trip briefing the captain will collect passports. Everyone will board the boat early afternoon before setting off at around 2pm. The boat should arrive in San Blas during the evening and anchor overnight. Day 2 – You will awake at sea and spend the whole day negativing westwards. 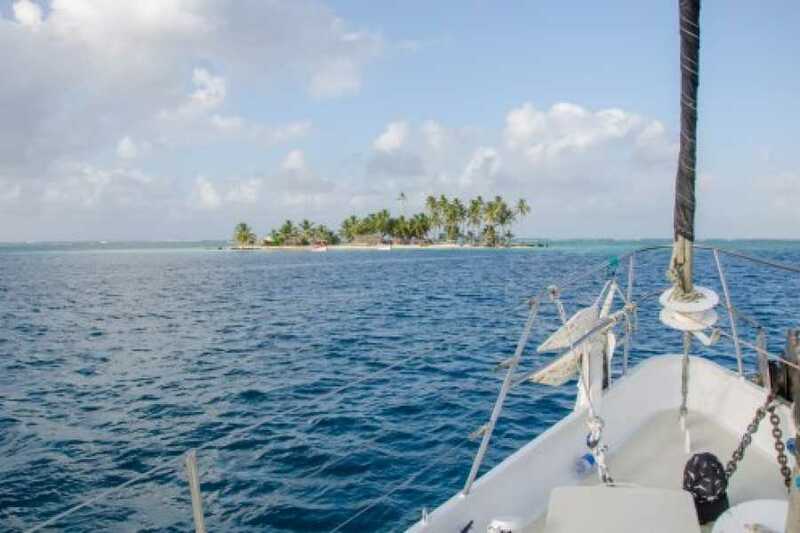 Depending on currents you might arrive to San Blas late this evening, anchoring overnight in a remote area. Day 3 – This will be the first full day in San Blas. Most likely in one of the more tranquil anchorages in the outer section of the islands. Day 5 – The final day in San Blas before heading towards Puerto Lindo. You will visit one or two different locations before setting off towards the coast in the late afternoon or early evening. Day 6 – You should arrive to Puerto Lindo early in the morning and will be free to leave the boat after breakfast. Breakfast is around 7:30 am and includes coffee/tea, fruit, cereal and bread. At around 10 or 11 am a second cooked breakfast is served. Examples are Chorizo, omelettes, pancakes etc. Lunch is between 1 and 2 pm. All meals are substantial with fresh vegetables. Seafood is regularly caught and purchased from the locals. Lobster will be served if in season. The boat has ample refrigeration for drink storage. Ice is provided for the coolers on deck for guest use. Neither boat provides alcohol , mixers or snacks such as chips. Alcohol can be purchased in the islands but it is generally the norm to purchase everything prior to the trip. Fruit is also served in the afternoon. Bread , nutella, jam and peanut butter are generally available all day. Total Cost = $550, plus $20 Guna territory entrance fee. Cost does not include transport to the trips starting location. The boat departs from ‘Club Nautico Marina’ in Mange. This is a 5 – 7 minute taxi ride from Getsemani, the main hotel and hostel area of Cartagena. The boat arrives to Puerto Lindo, Panama. This is on the Caribbean coast about 2.5 hours away from Panama City. 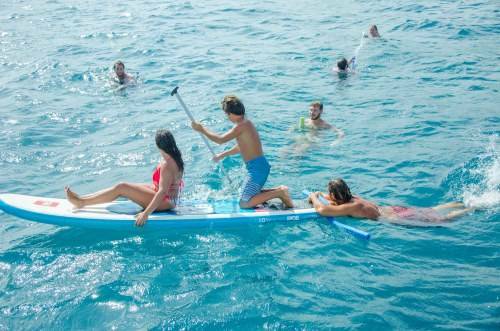 Guests can take a public bus to Panama City for about $10 per guest or a shuttle organized by the boat for $25 per guest. Prepare a small bag with all you need during the trip. The boat crew will put your big case in another storage without access. Wildcard is an independent boat which we represent as a guest service agent, because they are busy sailing and taking care of guests. Since we do not own and operate the boats we do not control the schedule, and cannot be held responsible for delays cancellations by the boat, or actions of the crews aboard the boats. However, in the event of a delay or cancellation we will provide guests with other available options, or refund their deposit payment. And if a guest registers a fair complaint or suggestion with us we will communicate with the boat and advocate for the guest in an effort to reach an amicable resolution. 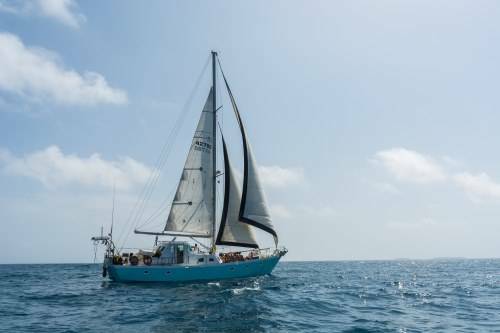 6 day 5 night sail boat trip from Cartagena, Colombia to Puerto Lindo, Panama. This company has carried nearly 5000 passengers on this trip over the last 11 years.